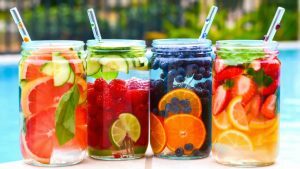 Home Lifestyle How To Lose Weight Quickly By Drinking Fruit Infused Water? How To Lose Weight Quickly By Drinking Fruit Infused Water? Why not make simple water more tasty and interesting by adding some natural flavor to it? Yes, this is what most of the celebrities and Bollywood stars do. They keep fruit infused water bottles with them. What is fruit infused water? This is the most obvious question after reading about the benefits of fruit infused water. It is nothing but mixing fruits in water to add a twist to plain water. Fruits are either immersed or squeezed in cold water to leave their texture, aroma, and taste in water for maximum health benefits. 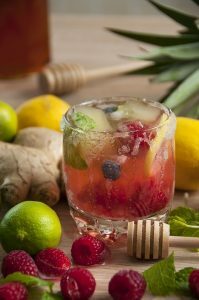 You can add any of your favorite fruit, vegetable or herb in water to prepare this healthy drink. Overloaded with the taste of fruits, vitamins, minerals and antioxidants, this refreshing drink is a great option in summers. You can drink it any time of the day to keep your body hydrated. 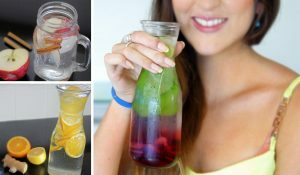 How to make fruit infused water? Making this tasty water is like a piece of cake. All you need is just a jar, fruits of your choice and water. Crush fruits slightly and put them in the jar filled with water. You can also add mint to enhance the flavor. Seal the lid and let the fruits do their magic for a few hours. Sip the drink after 1 hour to relish tasty water for quick weight loss. How to get maximum benefits from this healthy water? Though making detox water is too simple, a few mistakes can cause more harm than benefits. So here are a few points to ensure that you get maximum benefits from your drink. You can try various combinations of fruits like muskmelon and mint, lemon and mint, strawberry and basil and much more. Just mix your favorite fruits with your drink and get ready to enjoy it throughout the day. Preeti is a professional as well as hobbyist writer with experience in different domains. 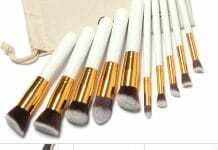 Now she has taken her keen interest in fashion, lifestyle and entertainment to a new level with blogging. Besides writing, she loves shopping, listening to music, traveling and sometimes cooking. How to Style High Waisted Jeans Like a True Fashionista? Cannes 2017: Have You Seen These Hot Red Carpet Looks of Deepika and Sonam? 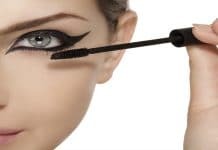 Glamtainment.com - Your one-stop destination for fashion trends, latest Bollywood news, Telly gossips, music updates, beauty tips and much more.